BEIJING—On Thursday morning, seven men in nearly identical black suits with red or blue ties, short (dyed) black hair, and polished shoes walked across a burnt orange carpet, and stood between a row of potted ferns and a painting of misty mountains in China’s Great Hall of the People. As news camera flashed, the men, all in their late 50s to mid 60s, stood in a line and tried gamely to neither grin too broadly, yawn, nor fidget. Thus was unveiled, at long last, the new members of China’s ruling Politburo Standing Committee. In the center was Xi Jinping, the newly anointed leader of the Communist Party. The procession ended months of speculation among China-watchers about the leadership line-up; a week of political ceremony and enhanced censorship in Beijing (a barely functioning Internet; other curious prohibitions), and a news drought for the 1,704 international journalists who descended upon the city to watch the 18th National Party Congress, but have had little of substance to report until now. These are the seven men who will live together within Beijing’s bureaucratic palace, Zhongnanhai, and confer on all of the major policy decisions, from economic reforms to media freedom to foreign affairs, left over from the Hu Jintao era. Amidst all the chatter in Beijing, one thing is clear: China's new rulers are not starting with a blank state. For better or worse, they are inheriting the legacy of the Hu Jintao era—a decade of rapid economic expansion, which began with China joining the WTO and ended with the country became the world’s top auto market (and second largest Ferrari market). The decade saw the 2003 SARS crisis, the 2008 Beijing Olympics, the 2009 Urumqi riots, and the beginning of the Weibo era. The price of apartments in Beijing more than quadrupled. Cookie-cutter shopping malls sprung up even in small Chinese cities. To serve the fast-expanding middle class, Estee Lauder opened counters peddling luxury skin-care products in more than 110 far-flung Chinese megalopolises, and Starbucks launched more than 750 shops across Greater China. China now sends more students than any other country to study abroad, and has more Internet users at home. The government finished Three Gorges Dam, built a high-speed rail network, and is now investing in a satellite location system to rival GPS. This rapid GDP growth, however, was nurtured largely at the expense of pushing legal reforms, banking reforms, stitching a meaningful social security net, or tending to other simmering problems. With increasingly degraded air, water, and soil, cancer has become China’s leading cost of death. Social inequality is a stark reality; losing faith in the country’s meritocratic promise, 8 out of 10 respondents told the Pew Global Attitudes Project they agreed with the statement: In China, the “rich just get richer while the poor get poorer.” With the residence-permit system known as “hukou” still intact, millions of new urban residents lack access to healthcare, public education, and other social services. The Peterson Institute calculates the gap between China’s truly assimilated city dwellers and those living on the urban margins to be as large as the total population of Brazil. 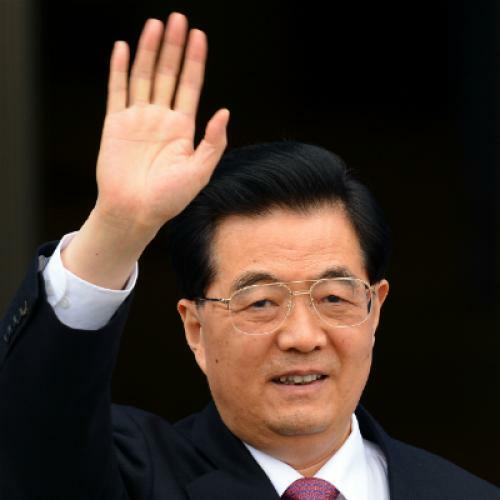 Hu Jintao's legacy aside, the new members of the Politburo are also constrained by one another. China’s authoritarian system may sometimes be depicted as (ruthlessly) efficient, but as Kenneth Lieberthal wrote in Foreign Policy, personal gridlock at the top is not rare. The Standing Committee executes decisions by consensus, but unlike an American president, a Chinese supreme leader does not handpick his cabinet (now the Party’s Secretary General, Xi will become China’s president in March). They will have to decide in concert whether to prioritize economic reforms, or reinforce the role of the state in key industries; wehether to unblock the web sites of Twitter, Bloomberg, and the New York Times, or impose tighten controls on domestic and foreign media; and how, if at all, to use China's newly unveiled Liaoning aircraft carrier. Christina Larson is a writer in Beijing and contributing editor to Foreign Policy.